Have you seen Boo? This little guy is quite famous on the internet with a website, facebook page, many hits on youtube, and a book. Are you interested in his book? 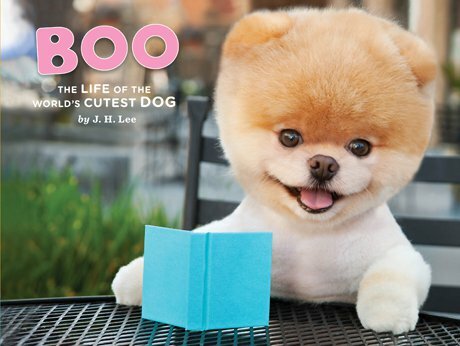 It is called Boo: The Life of the World’s Cutest Dog, available on Amazon for $9.30. OMG he is sooooooooooooo cute where did you get his hair cut?? Boo’s owner has an experienced groomer create the cut. If you want to try and replicate the look this page has a couple of good pictures that you can show a qualified dog groomer to try and reproduce the cut: boothedog.net. I think what makes him so cute is that not only is the body fur trimmed down, but the hair around his face is trimmed down as well to give it a circular look. Not a problem, I was just trying to provide a complete answer to your question. Especially if anyone else has wondered the same thing. OMG! He is so adorable with his little striped shirt on! 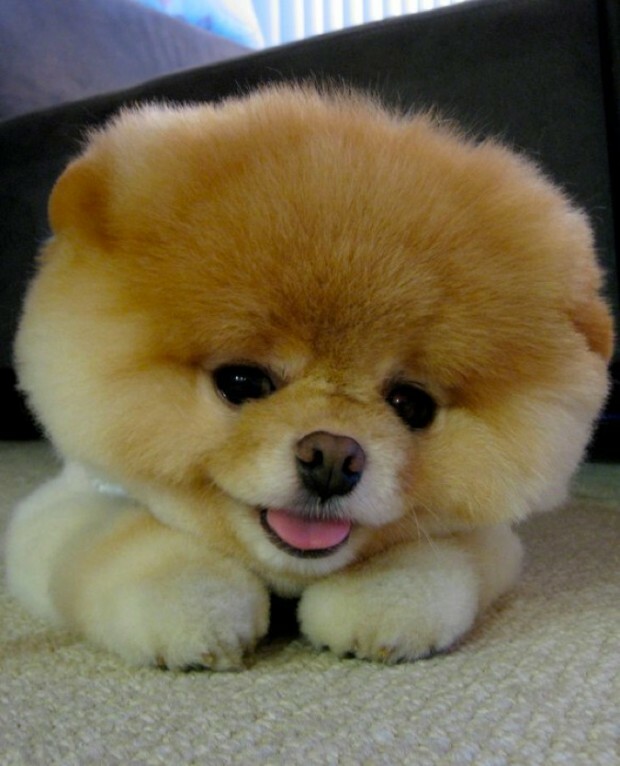 Boo really is the CUTEST dog in the world! 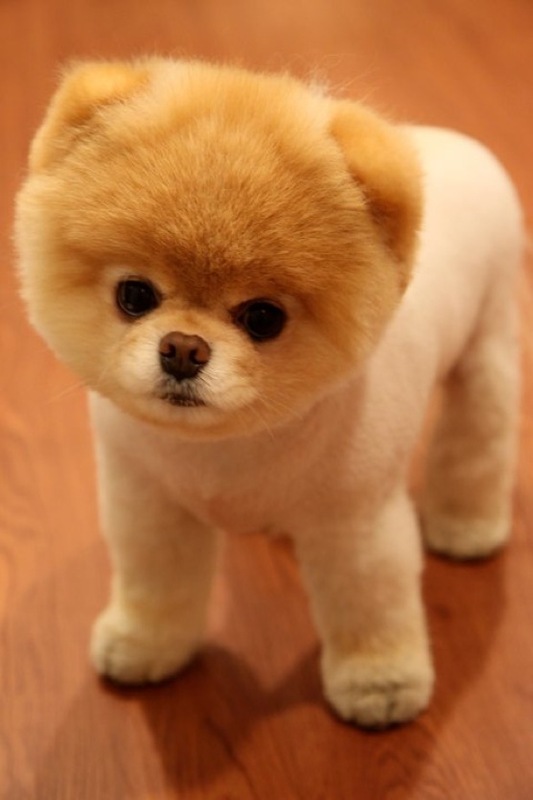 If you are looking for a dog like Boo, he is a Pomeranian with a special hair cut. 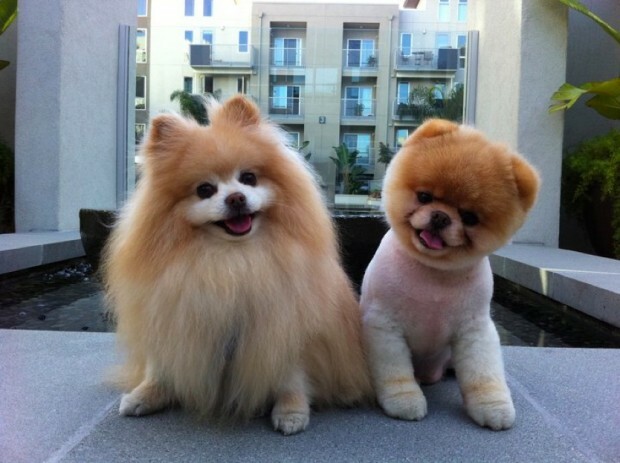 You might not be able to get a dog to look exactly like Boo, but if you do get a Pom and take photos of Boo to a good groomer you might be able to get a similar cut. If you are looking for Boo items like stuffed toys, I would check online for local retailers or websites that ship to your area.